As the CMS charts a path to level pay for outpatient services, it's also leading toward a head-to-head battle with powerful hospital lobbying groups as some providers win and lose with site-neutral payments. If the agency's 2019 proposal to pay the same rate for services delivered at off-campus hospital outpatient departments and independent doctors' offices is finalized, the CMS said it would save Medicare $610 million and patients about $150 million via lower co-payments. That represents about 1% of the around $75 billion hospitals receive a year from the CMS for outpatient services. This is a continuation of the CMS' aim to reduce payment disparities for virtually identical procedures, said Fred Bentley, a vice president at Avalere Health. Hospital executives have seen this coming, but that doesn't mean they won't put up a big fight, he said. "There has been a recognition that this disparity was not justified and that it was a matter of time until this gap would be addressed," Bentley said. "The CMS is starting to come to terms with the task at hand in terms of keeping Medicare solvent. Admittedly, they are going against a powerful lobby." "This has a very real human impact, and it is part of the story," said Dr. Farzad Mostashari, CEO and founder of Aledade, which helps establish physician-led ACOs. "The phenomenon of surprise billing doesn't conform with reasonable consumer expectations." The agency also proposes freezing higher payments for "grandfathered" outpatient sites. In 2016, the CMS passed a site-neutral rule that paid hospital off-campus facilities less than hospital-based outpatient departments if they started billing Medicare after Nov. 2, 2015. "There are issues about whether Medicare inpatient payment rates are just getting to be too low with the years of subtractions," said Paul Ginsburg, director of the Center for Health Policy at the Brookings Institution and director of public policy at the USC Schaeffer Center for Health Policy and Economics. "I am not saying hospitals are OK, but I think they would be much better off to pay hospitals appropriate amounts and avoid this real impediment to a competitive physician market." The CMS pays more for the same type of service delivered in a hospital outpatient department setting versus a physician's office. The agency has been looking to change this dynamic for years, in part because clinic visits are the most common service billed under the outpatient pay rule. 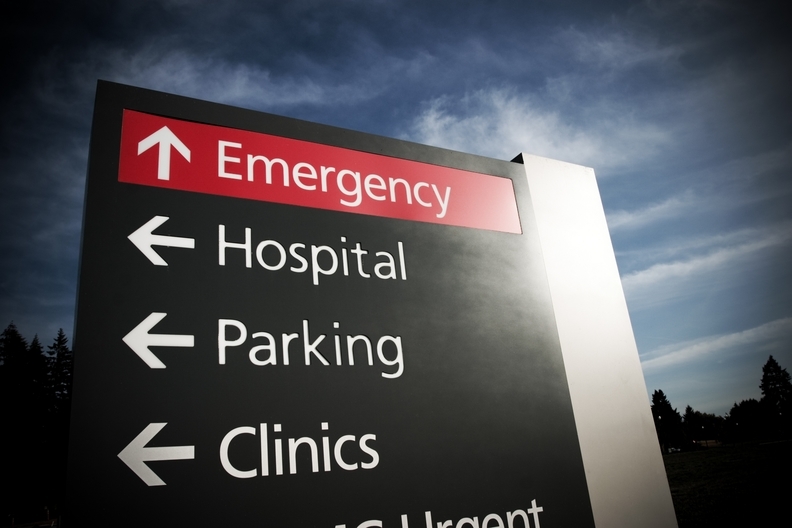 The different payment rates were initially set to account for hospital's higher overhead costs, since they must maintain emergency services and invest in unique, expensive equipment. Yet, over time, that premise became distorted, critics of the payment disparities argued. Health systems bought more physicians and physician groups to take advantage of the higher reimbursement rates, which were still doled out even if the hospital-owned clinic didn't look or operate any differently than a community-based doctor's office. "When hospitals started hiring all kinds of physicians who typically practiced in the community, and often did not move their office, it's clear that that rationale did not apply," Ginsburg said. "Even with hospitals' overhead costs, if they can't do the same care as cheaply as a physician office, why should patients and the American taxpayers pay more than they need to?" Gaynor asked. Medicare's payments shot up while beneficiaries received surprise bills for separate hospital fees. Also, hospital-owned practices have incentives to refer patients within their network, even if it isn't the most effective option, ultimately harming competition, Ginsburg said. "It also undermines some of the efforts to get physician-led alternative payment arrangements such as accountable care organizations or bundled payments if there are so few independent physicians left in the market," he said. "I am sure the hospitals will not see this as a great gift, but I would argue that as they are truly thinking of embracing the future, this will be a short-term hit that will yield long-term benefits," he said. The CMS also wants to expand last year's cuts to 340B drug discounts given to outpatient facilities that care for a disproportionate share of low-income patients. If that proposal is finalized, the CMS estimates that Medicare and its beneficiaries would save approximately $48.5 million. "This is a useful step in the right direction," he said. "But I think this proposal is only getting at a portion of the broader site-of-service payment differential problems. There are many other on-campus outpatient departments that are very similar to physician offices." The proposed rule didn't address payment discrepancies related to on-campus outpatient facilities, ambulatory surgery centers, or non-clinic visits at pre-existing off-campus facilities. "There are reasons to believe that hospital ownership of a physician practice is a less efficient way of organizing care than through independent practices," Fiedler said. "I don't think we should view an aggressive site-neutral payment plan as a silver bullet to consolidation, but it's not going to hurt." "It does raise the question—if there are more direct or rational ways to subsidize rural facilities or others getting hammered by this rule as opposed to using the disparity in payment models as an indirect way to subsidize health systems," Bentley asked. America's Essential Hospitals, which represents safety-net providers, said the "draconian" cuts would limit healthcare access for millions of Americans. "The CMS frames its proposals as empowering patients and providing more affordable choices and options," Dr. Bruce Siegel, president and CEO of the trade group, said in a statement. "But we believe these proposals only would create roadblocks to care in communities across the country—communities that already struggle with care shortages and severe economic and social challenges." Premier, the group purchasing and consulting organization, shared America's Essential Hospitals' concern, arguing that provider-based outpatient services support an overall reduction in healthcare spending and improve care coordination and quality. "The CMS' proposal fails to recognize the substantial differences between physician practices and provider-based outpatient clinics that translate into higher overhead expenses for provider-based outpatient clinics," Blair Childs, senior vice president of public affairs for Premier, said in a statement. Hospitals adapted their operations based on the expectation they would receive higher reimbursement rates, and abruptly changing that dynamic isn't fair, said Paul Hughes-Cromwick, co-director of sustainable health spending strategies at Altarum. The Trump administration also proposed another change that didn't sit well with providers—that they must share patient information when they are discharged as a condition to participate in Medicare. "The conventional wisdom is that the hospital lobby is too powerful, but this administration may turn that on its head," he said.